Super Bowl festivities provided a notable ridership boost earlier this year. 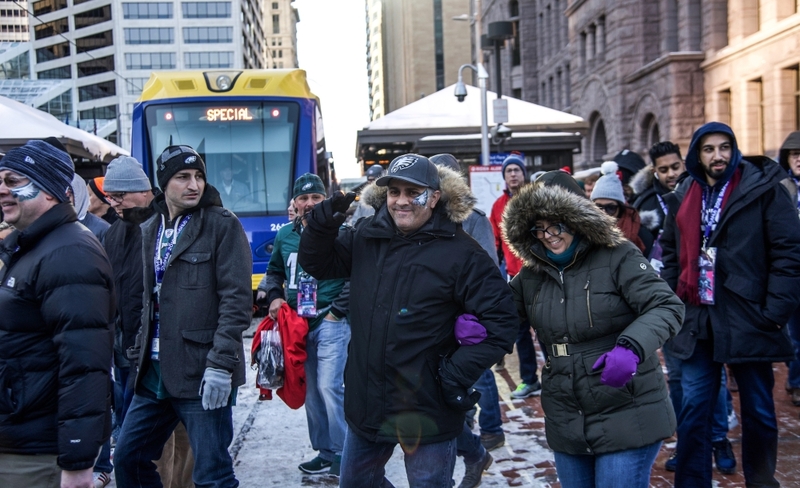 The Green and Blue lines and the Northstar Commuter Rail Line each saw their highest-ever January ridership totals and nearly 210,000 additional rides were taken over more than a week’s worth of Super Bowl events. Super Bowl festivities began on Friday, Jan. 26 and continued through gameday, Sunday, Feb. 4. Ridership on those dates increased about 12 percent measured against comparable dates. Ridership was boosted in part thanks to extra service that was offered to Super Bowl festivities. More than 17,500 rides were provided to and from downtown Minneapolis from area Park & Rides where special express bus trips were offered. Fares collected during the 10-day period offset the cost of the extra service that was provided. In all, nearly 6.4 million rides were provided in January, including more than 1 million Green Line rides, nearly 823,000 Blue Line rides and close to 67,000 Northstar rides.